China’s e-commerce goliath plans to connect more domestic consumers with foreign businesses over the next five years. SHANGHAI – E-commerce giant Alibaba plans to offer imported products worth a total of $200 billion from over 120 countries and regions to sell on its online platform over the next five years, the company’s chief executive officer said Tuesday. Daniel Zhang, who will succeed Alibaba founder Jack Ma next year as the group’s executive chairman, said the plan aligns with the company’s goal of expanding its international market reach to 2 billion customers by 2036. 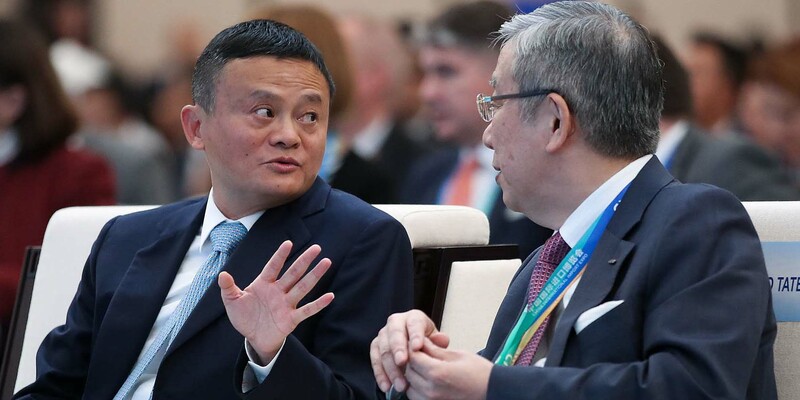 Speaking at a forum during the ongoing China International Import Expo in Shanghai, Zhang pitched Alibaba’s ambition to connect businesses and consumers with the help of emerging technologies. “We’re not aiming just to achieve this number, but hope to help the world’s enterprises and businesses enter new markets with digital methods and to help them innovate sales models and supply chains,” Zhang said. Alibaba’s intention to become a global online platform echoes commitments made by the country’s leader earlier in the week. During his opening remarks at the expo on Monday, President Xi Jinping said China will increase imports, further reduce tariffs, and improve efficiency at customs checkpoints to facilitate cross-border trade and e-commerce. 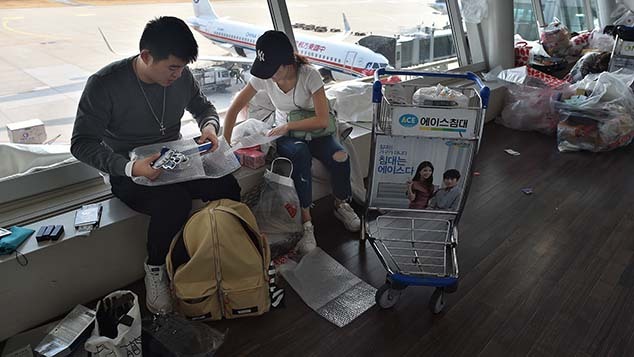 With Beijing pushing for a globalized marketplace and domestic demand for foreign products increasing, cross-border trade on e-commerce platforms has rapidly taken off in China. Last year, the nation’s total trade volume for cross-border e-commerce surpassed 8 trillion yuan ($1.15 trillion) – nearly double the 2014 amount, according to a report by China E-Commerce Research Center. The country has also lowered import taxes on household commodities five times since 2015 — most recently, the average tax rate was lowered from 15.7 percent to 6.9 percent in July — to boost sales. This has created opportunities for small businesses to thrive in a sector dominated by multinational companies. Alibaba Vice President Gao Hongbing said that Tmall Global — the company’s digital platform for selling imported items — has grown over the last four years into a marketplace for both popular and lesser-known international brands from some 75 countries to sell their products. The company said it is especially targeting a young demographic that constitutes just over half of the platform’s consumers and plans to have 8,000 categories of products from the existing 3,900 by 2023. However, the change in leadership from Ma to Zhang and China’s trade dispute with the United States appear to have affected the company. Alibaba’s share price has slipped this year, and earlier this month, the company announced it was lowering its revenue forecast for the fiscal year ending in March 2019 by between 4 and 6 percent. 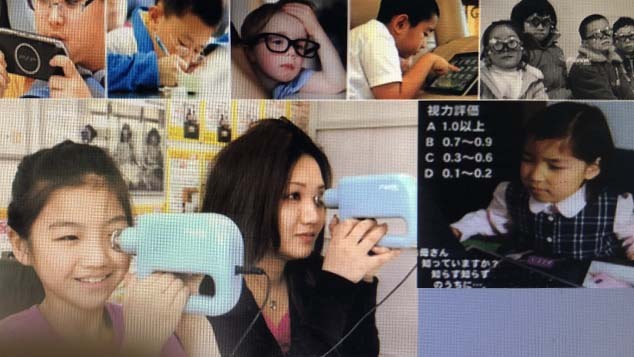 NetEase’s Kaola.com, a rival of Alibaba, also plans to grab a chunk of the market share, as the company is expected to sign contracts worth $20 billion with over 110 global brands mostly specializing in mother and baby care, cosmetics, and health care products during the expo. 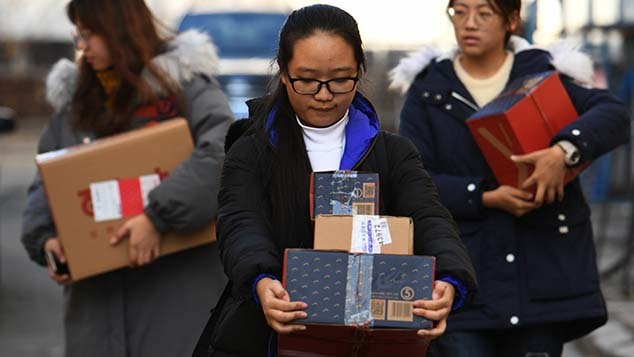 Along with authentic foreign merchandise, China’s online retail market has long been a platform for counterfeit goods. The country passed a new e-commerce law in August in an attempt to better protect consumers and intellectual property rights. All foreign and domestic companies and individuals are required to register with the government under the new regulation, which will go into effect in January 2019.